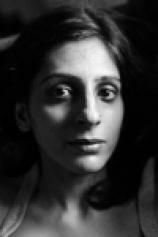 Deepti Kapoor was born in Moradabad, Uttar Pradesh, and grew up in Bombay, Bahrain and Dehradun. In 1997 she went to the University of Delhi to study journalism and later completed an MA in Social Psychology. She spent the next decade working for various publications, driving around the city, finding stories and learning its streets. She now lives in Goa. She is 20 and restless in New Delhi. Her mother has died, and her father has left for Singapore. He is a few years older, just back to India from New York. When they meet in a café one afternoon, she --- lonely, hungry for experience, yearning to break free of tradition --- casts aside her fears and throws herself headlong into a love affair, one that takes her where she has never been before.